We are a well-established company located in London, with several years experience and a vast knowledge of different electrical systems. Our electrician brings total electrical installations, heating, lighting, CCTV, security and alarms on tasks covering industrial, business and domestic sectors. Call our electricians today on 0207 127 5128. Cenultra Electrical Services make every effort to maintain the highest quality of service, dealing with all clients and their building with the up a lot of respect. We aim to complete all works with the minimum mess and trouble possible. Our philosophy is only to use leading branded materials throughout, lowering any future call-outs (inconvenience) and more importantly any potential failures. All materials and workmanship are totally guaranteed, providing total assurance. In the unlikely occasion issues emerge, you can have full self-confidence that our after sales commitment to our consumers will be of the highest priority. Our electricians hold updated certifications to ensure your safety and as such we are certified to the present regulations, BS7671 17th Edition. In addition Cenultra Electricians are members of the NAPIT, NICEIC, Elecsa. Our work is reviewed annually so all our consumers can be assured that our work is continually performed to the greatest standards. With years worth of electrical quality and satisfied customer base, Cenultra electrician is your one stop shop. We provide a various and vibrant service where complete satisfaction is guaranteed and where your vision is made a truth. We are the solution to all electrical needs. We are a well established and trusted company of local electricians. A residential electrician from £78 per hour. A commercial electrician from £95 per hour. We also provide a range of fixed price electrical services. Whether you want to replace a light, a new electrical panel/circuit breaker box, or re-wire your entire property, we provide a complete variety of electrician services. We can repair or install any electrical equipment for you including aluminum or cloth-covered electrical wire replacement, new electrical circuits, security alarm, smoke alarm, emergency lighting, electrical cable for TV, phone and computer systems, and so on. Our experienced electricians will ask you a couple of questions, and then we’ll be able to provide you our professional recommendations. For all your electrical needs, rely on an experienced electrician at Cenultra. Our knowledgeable electricians are second to none, and you’ll also find our rates to be remarkably inexpensive. No jobs are too small or too big for Cenultra. Day or night, if you are trying to find a quality electrician that you can rely on, who will be there when they say there going to, at costs you can afford, then call us on 0207127 5128. When you are searching for an emergency electrician in London, you need a business who respond promptly to every call out. Whenever you require us, day or night, we can be on hand to repair any electrical fault and get things up and running in no time at all. Are you still looking a reason to hire us? Look no further we have been screened, and background examined through various authorities. 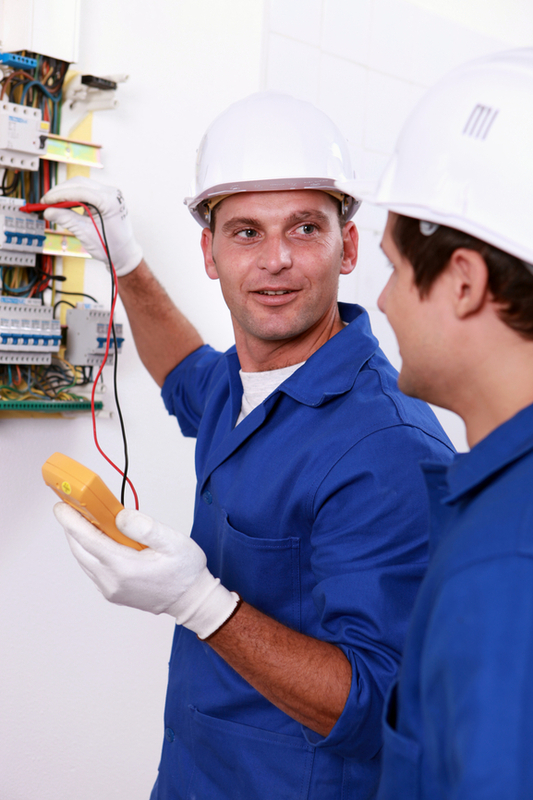 Our Electrician will go through a substantial hiring procedure, and just the very best make it. Your family’s protection means that much to us. Our clean cut and polite electricians will provide you a Flat-Rate price before any work begins. Any electrician that typically charges by the hour for labor can end up with bad news when receiving the final costs. So no matter for how long it takes our electrician to do the job there will be not a surprises in the end. Call your Electrician in London today on 0207 127 5128. We provide a complete wide range of electrical services. From lighting and socket installation and fault finding, entire house rewires to complete board upgrades, whatever your residential and commercial electrical service needs are, we can help. Our objective for your home and business is your safety and comfort. Customer Satisfaction is our top concern. Trying to finish your own repair or install within your house or business can end up not working out the method you wanted it. Doing things yourself can cost you more in the long run. We are a professional when it comes to electrical repairing and installations. Trust the professionals and the job will be complete the first time with a peace of mind. Required a brand-new attic or whole home fan installed? Do you need a fuse board replacement? Does your equipment, swimming pool or spa require a new circuit? No matter your electrical need, Our electricians have the professional experience to repair completely or install your electrical system. We recognize and install all aspects of domestic and commercial systems. Dealing with electricity can be unsafe, so handling your own minor electrical issues within your house is not a smart move. Additionally, electricity is simply too harmful for someone that has no experience to work with, so hiring somebody that is not qualified can lead to huge concerns. Always employ a licensed and insured expert when handling electrical problems. If you are trying to find an electrical company in London that will repair or install big or small jobs you have come to the best place. We have the experience to handle safety guidelines when replacing or installing electrical wiring and equipment in your home or business. Do not be the person who decides to save money by employing someone that is not qualified; fixing mistakes always cost more in the end. We have insurance cover and we also offer an assurance in writing. If you have a small and basic task that needs finishing, such as a new light, then ask the electricians how much they charge for it before hiring them. When it comes to larger, more extensive and time-consuming work, you’ll want to inquire about the professional’s per hour rate. Lots of tradespeople will offer to come out to your home or business, check it and provide you a quote as well as inform you how much they charge per hour. It’s best to get this in composing before proceeding. When picking the electrician you wish to use, you MUST make sure that they are certified, or you could drive into problems that could potentially cause death. Electrical installations of all types should only be done by someone who is qualified to so. Cenultra is certified to cover all type of electrical work to the highest standard. Most homeowners call electricians in an emergency or if they’re building or remodeling. It is essential to check an electrician and discover an experienced electrician before you need one. By building a relationship with an electrician, you can be sure that they will be there to help when you require their services. So, you’ll want to employ an electrician for regular tests before an emergency situation occurs. A good electrical contractor will end up being familiar with your house’s systems and potentially discover emerging problems before they become serious issues. There’s absolutely nothing to stop you from doing electrical work in your own home if you are an electrician. But if you don’t finish the appropriate test certificates and register the work with the Local Building control for a Part P certificate there could be an issue when you wish to sell your home. The buyers and lawyers will ask for the paperwork for current works. These need to be submitted within two weeks of completion of the works. Our team of reliable electricians has years of experience in this trade, which makes our company stand out in front of our competitors. Call Cenultra today on 0207 127 5128.